At R.B.Hall Associates, LLC, we know you want to lower your costs while increasing your firstline worker performance. With Office 365, your IT costs come down because solutions are hosted in the cloud, and other solutions such as web conferencing can be retired, saving you more money. Employees have a much richer solution set that they can use to collaborate and create, increasing performance and productivity. Contact us to find out how we can help you integrate Office 365 today. Do your firstline workers struggle with productivity? Even if they may not realize it, there are ways to improve performance and productivity that can save your organization money and increase the happiness of your employees. R.B.Hall Associates, LLC wants to help. Based on a recent Forrester study, by integrating Office 365, companies improved business results in terms of increased sales and customer satisfaction. 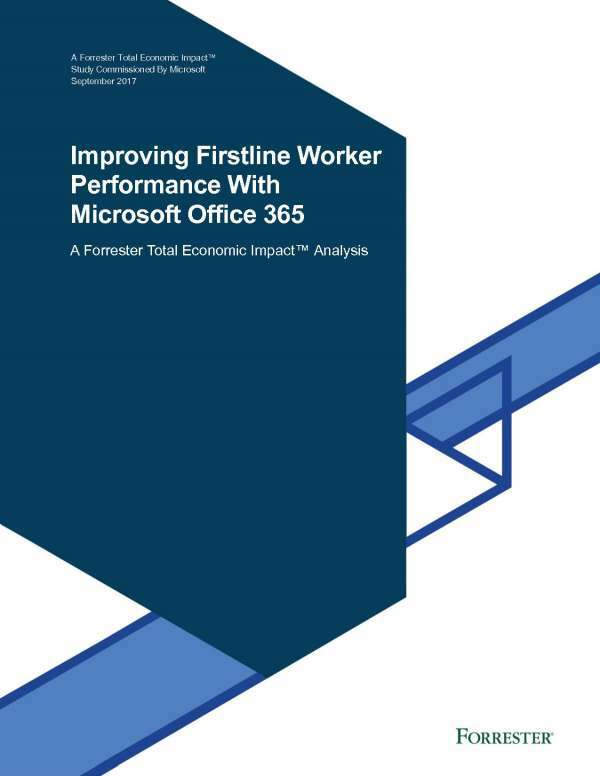 Organizations saw real business improvements because firstline workers were more integrated into the organization, and teamwork improved. That’s the power of Microsoft Office 365. Contact R.B.Hall Associates, LLC to learn more about how Office 365 can help your organization.